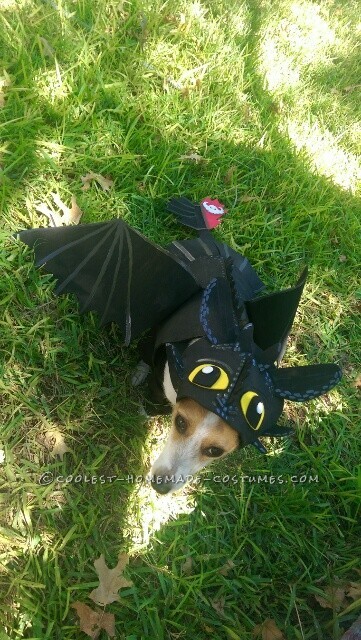 Since I am a fan of How to Train Your Dragon and feel that Toothless’ movements seem like those of my puppers, I decided to make a simple yet detailed costume for my pupper dog, Khaleesi. 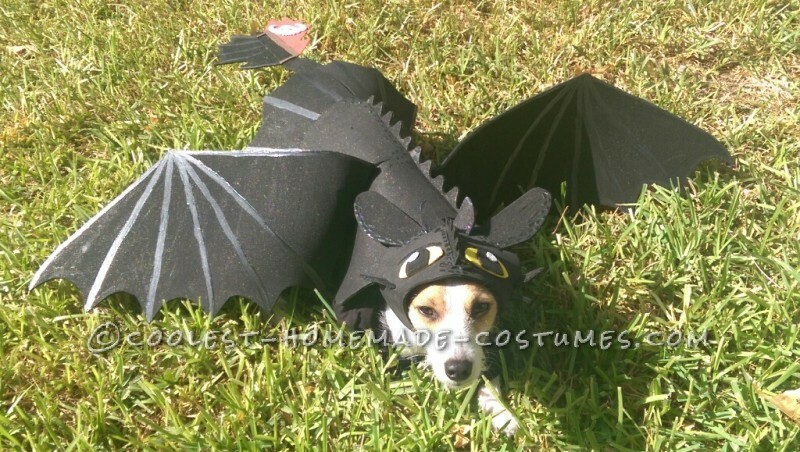 Plus Khaleesi is named after the mother of dragons, so why not a dragon costume?! I started with drawing out wings, tail, fins, flag, ears onto black craft foam. Once cut out I took one big piece of craft foam and hot glued each item into place. From there I painted the entire thing in a shimmering black paint since the foam was very dull. Once that dried I took a dark silver clothing paint and painted accents such as nostrils and scales. This took a while since it was most detailed part. The body part attaches to my dog via a ribbon underneath and head piece attaches via a craft pipe cleaner. To add a bit more black to my dogs body I purchased a child’s long sleeved black shirt to wear under body piece. The great thing is its light and easy to put on and take off and is the most awesome thing to see when she starts running around with it on! Little wings get to flapping!